The decision to pay debt off with savings should be weighed carefully. 1. Should I Stop a 401(k) Contribution to Pay Off Debt? 3. How Much Should I Owe on My House Compared to My Investments? Credit card debt can wreak havoc on your personal finances, particularly if you have a large amount of it or are having difficulty making your payments. Paying off the credit card debt from your available savings makes sense, particularly if you can save money on the interest on the credit cards. The downside is that you have less available cash if an emergency arises. Much of the issue boils down to what levels of liquidity and debt you are comfortable with. The interest rate on your credit cards is probably much higher than any interest you receive on your savings. If the interest that you pay on your credit card is 18 percent, and you are only earning 2 percent on your savings, you will likely wind up paying a lot more on your credit card debt than you earn on your savings. In this instance, tapping into your savings account to pay off the credit card makes sense. Debt creates stress in many people because they spend a lot of time worrying about the balance that they must eventually pay off. Many people find that if they are in this situation, they are better off paying the debt off with savings and being done with it. You might feel an enormous sense of relief if you do this, making it an easy decision. Savings represent liquid capital that is available to pay an unexpected bill or help you cope with a job loss at a moment's notice. Having that resource might be important to your sense of financial security. Also, your savings might be held in investments with penalties for early withdrawals, or maybe it is in a retirement account, with taxes and penalties for early withdrawal. These taxes and penalties might cost more than the interest savings from paying the debt off. If you earn a good income, and have room in your budget to accelerate your debt payments, consider paying extra on your debt each month to pay it off faster. This preserves your savings in case you need it. If your credit card debt is on a same-as-cash promotion, you get a certain amount of time to pay off the debt without finance charges. Just be aware that if you do not pay off the debt within that amount of time, you will usually pay finance charges from the time you purchased the item. These charges can add up quickly. If you are getting close to the end of one of these terms, it might make sense to withdraw the money from savings and pay off the card. If you determine that it is a good financial decision to pay off your credit card debt with savings, beware of running into the same problems again. It is easy to incur new debt if you are not disciplined in your spending. AARP: Should 60-Somethings Use Savings to Pay Off Credit Cards? Kiplinger: Use a 401(k) to Pay Off Debt? How Do Assets Affect Liquidity? 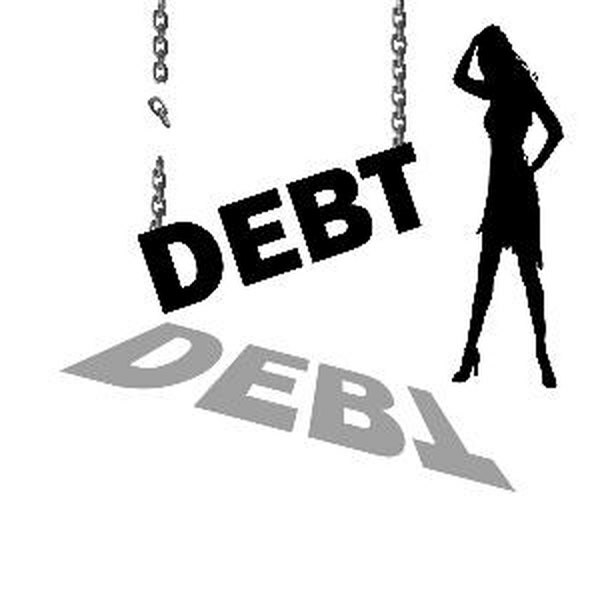 What Are the Advantages of Repaying an Installment Debt Over a Long Period?